By the end of our lives, most of us will have witnessed nearly 1,000 full moons. So perhaps the appearance of yet another one this week will not strike us as anything special. Yet this ordinary object that we see in the sky so often may actually be responsible for creating and sustaining life as we know it, making it an object of utmost importance. When the moon first formed, it was much closer to the Earth than it is today, which caused its gravitational pull to create more dramatic ocean tides than we are used to. Some scientists suggest that these tides would have traveled up to one mile inland, thereby creating a perfect environment for the building blocks of life to emerge in the expansive intertidal region. Over millions of years, the gravitational interaction has resulted in a significant increase in the distance between the Earth and the moon. After life began, the moon’s influence helped to create relatively stable conditions for living things to flourish. The moon’s gravitational pull on the Earth stabilizes our planet’s axial tilt. Even with the moon, the Earth’s tilt varies by 2.4 degrees over a period of 41,000 years. This 2.4 degree variation in tilt may not sound like much, but, along with 2 other variations in Earth’s motion, it might be enough to cause the ice ages. 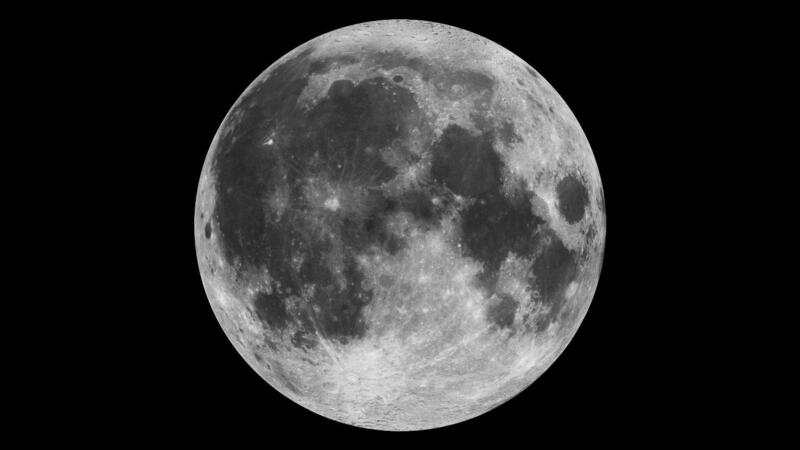 Without the moon’s gravitational pull, the Earth’s tilt may have fluctuated by up to 10 degrees. The moon’s presence also slows the Earth’s axial rotation, giving us 24-hour days. Without the moon to slow us down, a day on Earth would last as little as 6-12 hours. A moon-less Earth would have likely experienced much more unpredictable and dramatic variation in climate and seasonal patterns. And without the moon to provide consistency, life may not have originated the way that it did, or perhaps it would not have originated at all. So for those of us who were told as children to make wishes on shooting stars, maybe we’ve had it all wrong. For us earth-dwellers, our moon is arguably the “luckiest” object in the sky. And without that moon, perhaps we would not be here today to marvel at it. Western Slope Skies is produced by members of the Black Canyon Astronomical Society. This episode was written and recorded by Gina Poulson, Park Ranger at Black Canyon of the Gunnison National Park.